LAT runs a number of visitors services at prisons throughout the region, as well as at IRC Morton Hall, and we are looking for volunteers to support these activities. Volunteers can have a powerful and positive impact on the people they work with and volunteering can be incredibly rewarding. In addition, it can contribute to volunteers’ professional development. Volunteers can offer their time Monday to Sunday, and weekends are one of our busiest times. Applications to become a volunteer are welcomed from people of all ages and backgrounds across the region, who have the commitment to work with both children and adult visitors to our Centres. What does an LAT Volunteer do? Please note - due to a high level of interest in Visitors Centre / Play Area / Family Visits / Departure Lounge volunteering roles at HMP Lincoln, we are currently closed to new applications at this location. Applications for other sites remain open as usual. Volunteers in this role will offer support and a warm welcome to all children who are visiting their father/family member. They will be responsible for setting out toys and equipment before visits begin, and tidying and checking toys after they end. At prison locations volunteers will play games with the children whilst they are in the Visitors Centre waiting to go for their visit. Once in the prison / IRC visits hall when the visit is taking place volunteers will undertake activities with the children and encourage them to take toys to play with the person they are visiting. At prison locations volunteers can limit their help and support to the Visitor's Centre if they prefer not to enter the prison. A role description is available here. Locations: HMP Hull |HMP Humber (near Brough) | HMP Lincoln | HMP Stocken (near Oakham) | IRC Morton Hall (near Swinderby). Visitors’ Centres exist to meet the needs of adults and children visiting relatives or friends in prison / at an IRC.  They aim to offer a safe, pleasant environment where all visitors are met with dignity and respect, provided with the facilities they need and offered information, support and the opportunity to discuss the difficulties they may face in confidence. Volunteers in this role will assist in welcoming and registering all visitors arriving for a visit. They will support families who are waiting to go into the visit by offering listening support, providing information to first time visitors, and they also serve refreshments. The Visitor's Centre is based outside of the prison / IRC. A role description is available here. Family visit days are held regularly throughout the year at each site, and last longer than standard domestic visits. Men are allowed greater freedoms during family days, being able to move around the visits hall to interact with their children. Food and activities are provided throughout the visit. Volunteers in this role will therefore be able to develop activities prior to family visits, as well as offering support to children and families who are visiting their parent or family member during a family day. A role description is available here. Lincolnshire Action Trust’s innovative 'Departure Lounge' facility operates every weekday morning from 0830 for approximately 2-3 hours and is available to every person released from HMP Lincoln.  It provides advice and practical support with finding accommodation, making contact with probation and supporting agencies, local services available, money and benefits, or simply giving directions. The Departure Lounge also provides a safe environment for family, friends, and support agencies to meet people on release. A role description is available here. Do you have a few hours a week to spare? Do you want to improve your skills and experience? Do you want to do something a bit different? Are you non-judgemental and enjoy helping others? If the answer is yes, why not become a volunteer for Lincolnshire Action Trust?